I would like to share with you here, jewelry that we did before posting them on our etsy shop. 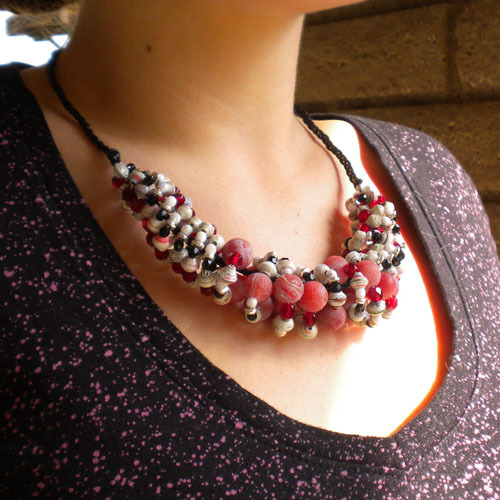 I hope this inspires you to try your hand at making jewelry with paper beads. This big and beautiful flower was made using our small round paper beads and fashioned into a flower using craft wire. The flower is attached to a black or rhodium plated chain. This necklace made with fire agate and white toned paper beads was posted on etsy but I have not shown it worn on the neck, so here it is. 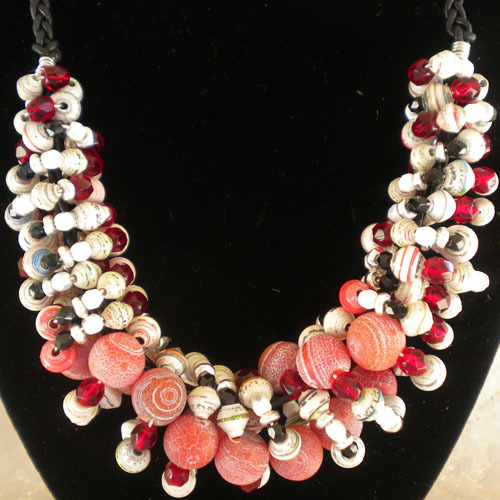 This is a substantial neck piece even if it is made with paper beads because of the fire agate. I hope we have inspired you today. The width of the base of your triangle determines the length of your paper bead, the olives that we make is one centimeter at the base and try it with 12 inches long triangle paper. You just have to experiment! That is why paper beads is so much fun. Thank you for visiting. Wow you have inspired me with your work. 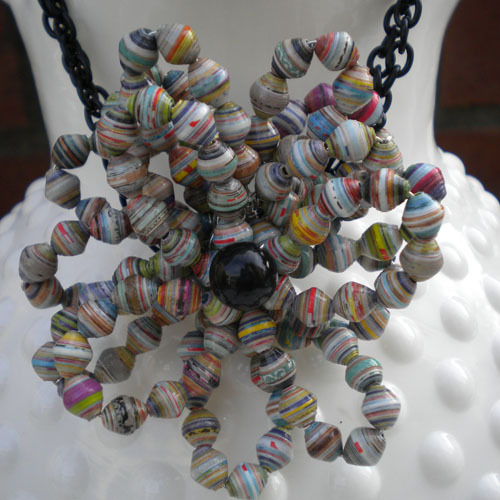 I would have never of known how beautiful and wearable paper beads are.You do just great work. You have inspired me to come up with my own ideas with paper beads. Thank you for sharing your wonderful work.